Topic: Suitable Replacement For NLA Right Side Heater Hose Through Firewall Grommet? Re: Suitable Replacement For NLA Right Side Heater Hose Through Firewall Grommet? I've been (attempting) ordering parts from a couple online Mercedes parts dealerships because the 30% off MSRP which they offer sure beats getting 15% off parts ordering from The Classic Center. I think that their databases are screwy, though. For example, I ordered the hose that goes from the bottom of the coolant expansion tank to the bottom of the radiator (part number 1165001275), and they said it's been replaced by part number 1265001549, which is a coolant expansion tank. How does that happen? I ordered a short 180 degree heater hose (part number 1168313394) and noticed it wasn't on my order, but another hose I had ordered, which was a long, mostly straight hose (part number 1168310994) was on there twice. I asked about this and they said part number 1168313394 was superseded by 1168310994. How can this be? They are totally different lengths and shapes and are absolutely not interchangeable. Not only are a lot of parts no longer available, but many parts seem to be superseded by incompatible part numbers. I'm worried if what I'm getting is even going to be correct. This same dealership showed that the rubber boot for the drier pressure switch was discontinued, but another dealership showed it as available, but later came back and said it had to be ordered from Germany. As long as I can actually get the part, and it's correct, I don't mind waiting an additional 7-10 days. I'll probably contact The Classic Center and see if they can be of any assistance. I often wonder if some of these online parts dealerships fully know what they're doing as these part numbers which they say supersede the ones I need seem totally wrong. Also, I'll be browsing through the SLS website and seeing if I can find some suitable grommets to replace the ones that are no longer available from Mercedes. GenuineMercedesParts.com just emailed me and admitted their mistake. They will add 1168313394 (short 180 degree heater hose) to the order. I got a big box of genuine Mercedes parts today! Fortunately, I was able to get many of the grommets I needed, but unfortunately some are no longer available. I found the elusive not-listed-in-EPC condenser grommets. Yay! They are part number 000 997 31 81. I took a risk on part number 116 997 02 81, hoping that it would be a suitable replacement for the no longer available air conditioning low pressure hose firewall grommet 116 997 24 81, or possibly for the no longer available right side heater core hose firewall grommet 116 997 04 81. Even though the outer lip on both are the same size at 66mm, part number 116 997 02 81 is made to fit in a 55mm hole, while these holes are only 42mm, so the grommet will not compress enough to fit. I tried. The part number on my heater hose that goes from the right side of the heater core, through the firewall, and to where the climate control servo used to be has a part number of 116 831 28 94. It was superseded by part number 116 831 09 94. I put it up next to my original hose, and the new hose seems much too short and incorrectly angled?! I guess (hope) it will stretch and be fine, but wow... what a difference in size. I bought a new temperature switch and got one that's made in Mexico--and the pin is tilted, like it was assembled crooked. Some quality control... I feel like I should return it. It looks identical to the non-Mercedes logo Behr ones I could have got for less money. I'm also sad to announce that part number 008 997 17 81 is much too small to replace part number 116 996 16 81, which is the firewall grommet that has the vacuum lines going through it. Part 008 997 17 81 fits a 36mm hole, and the hole in the firewall is 46mm. I don't really know what to do about these no longer available grommets other than to repurpose some decent fuse box grommets as air conditioning hose and heater hose firewall grommets, and use sealant on the others. I placed an order with https://www.sls-hh-shop.de/ for aftermarket 107 821 00 97 X2 vacuum line ducts for front doors, a 34mm rubber grommet which might work for the wiper motor wire harness at the firewall, a 42mm angled rubber grommet that may work for the air conditioning hoses and heater hoses at the firewall, and a 1169972281 heater case slider grommet. The shipping was outrageous and I hope their arrival doesn't take long. Wow, my parts from https://www.sls-hh-shop.de/ already arrived! I feel better about the high shipping cost from Germany. I got new rubber ducts for the vacuum lines into the front doors, and a new seal for the lower flap control on the heater case. The 42mm angled rubber grommet 299003 https://www.sls-hh-shop.de/main/en/mercedes-230-280sl-w113-/50-cooling-system/50-a-cooling-system-230sl/rubber-grommet-inlet-p-7626 (top right in above photo) seems like it will actually work to replace the no longer available air conditioning low pressure hose firewall grommet 116 997 24 81 (top left in above photo) and the no longer available right side heater core hose firewall grommet 116 997 04 81. I will need to make the inner hole bigger, of course. Sadly, I should have ordered two, as now I'll have to order a second one and pay for shipping again. Maybe I can find one at The SL Shop in England, or Authentic Classics for a lower shipping cost. 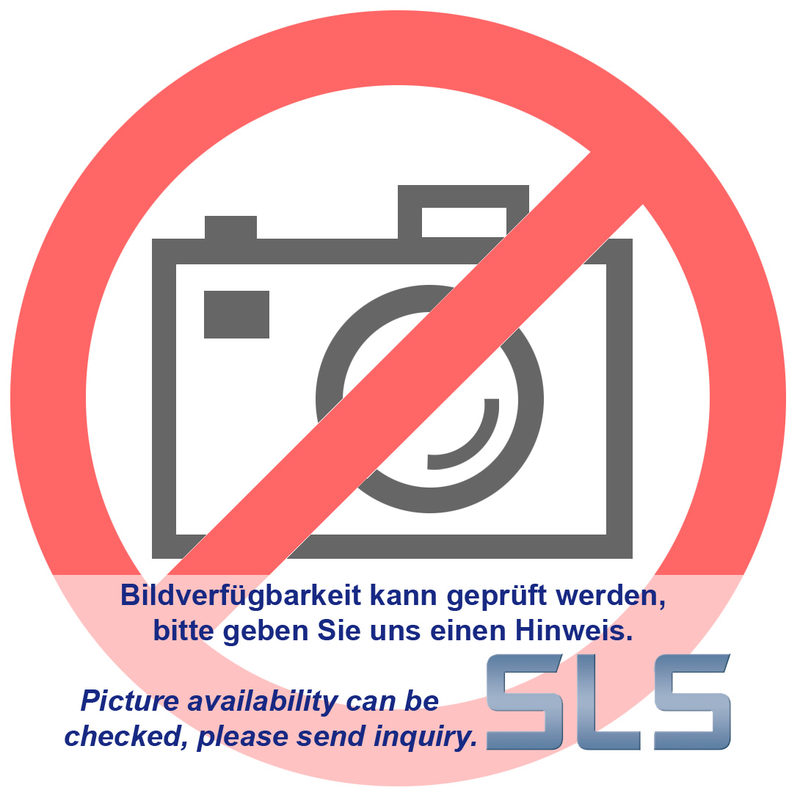 The 398783 https://www.sls-hh-shop.de/main/en/mercedes-w111-w108-w114-/98-rubbergrommets-sorted-by-design/rubber-grommet-8-34-mm-p-8797 34mm grommet with the 8mm inner hole seems like it will work perfectly to replace the no longer available 116 997 10 81 wiper motor firewall grommet--although in reality the hole is closer to just over 9mm wide, so it may be a slightly loose fit on the 9mm wide wire harness that goes through it--if necessary, I will wrap tape around the wire harness to make it thick enough for the grommet to seal tightly. The molding lines will interfere with installation, but it should be able to be cut. No big deal. The 42mm angled rubber grommet 299003 from SLS is part number 113 997 01 81 and is still available from Mercedes, so I will order a couple of genuine Mercedes ones and the German aftermarket wiper motor grommet, rubber door ducts, and heater case lower flap seal will have to do. Haha. So, now we may have a solution for some of those no longer available cowl/firewall grommets! I also checked on the large rubber boot that goes between the heater case and the blower motor, as I discovered mine is dry rotted. It's part number 116 831 07 88, and sadly no longer available. Flex Seal to the rescue, I guess. Please keep it up! I would even suggest a "go fund me" for this mission. I'll donate a few bucks when you do. Them grommets have been giving me pause for a long time, and you're finding good solutions for these NLA cases at your own cost. SD check their shipping rates to Ireland, and I'll see how much it'd be to ship to you from here. It may actually work out cheaper, albeit quite a bit longer. I've shipped 6.9 rocker cover gaskets for UTn_boy in the past, it worked out OK.
Is this what you have in mind? https://www.gofundme.com/squiggle-dog039s-116-project-research This is my first time setting up one of these. It feels odd doing one for myself, but any help I can get would be appreciated as at the moment I'm putting this all on credit. Thanks, I'll keep that in mind if I place another order with them. Yeah. That s the one. There should be a Paypal option though. Too many people do not want to send credit card data over the net. (like me) Also, you set the goal to 25usd. Is that the way? Should it not be higher, or doesn't it affect the system? It does not shut down after you reach 25, not? Interesting to see how that goes. My almost geriatric sis in the States got hit real bad on her Kawasaki, found herself unable to walk for months, with no income, wrapped in cast(s) in a trailer in Oregon. GofundMe has been good to her. She's surviving financially. 2018 is a weird world we live in, not? Lots of good people doing good things everywhere, even for total strangers. Yeah. That s the one. There should be a Paypal option though. Too many people do not want to send credit card data over the net. (like me) Also, you set the goal to 25usd. Is that the way? Should it not be higher, or doesn't it affect the system? It does not shut down after you reach 25, not? Interesting to see how that goes. I believe there's a bunch of people here that would want to donate 15 bucks for such a correct list of NLA replacement numbers/items. Sure beats water in the firewall. My almost geriatric sis in the States got hit real bad on her Kawasaki, found herself quite alone, unable to walk for months, with no income, wrapped in cast(s) in some trailer in Oregon. GofundMe has been good to her. She's surviving financially. 2018 is a weird world we live in, not? Lots of good people doing good things everywhere, even for total strangers. Hmmm... I thought there was a PayPal option. If not, it doesn't seem there is a way to add one. I increased the dollar amount to $100 since I already reached that goal. I just didn't want to seem greedy or have unrealistic expectations. Thanks to all who donated!!! I'm glad GoFundMe has helped your sister. I was unsure about starting one as I see cases like hers and think that maybe it's more for people with real problems like that. If you send me a Paypal address, I'll send you some through there.. I got your donation. Thanks so much! I'll be adding more findings in a bit after I get other things done.